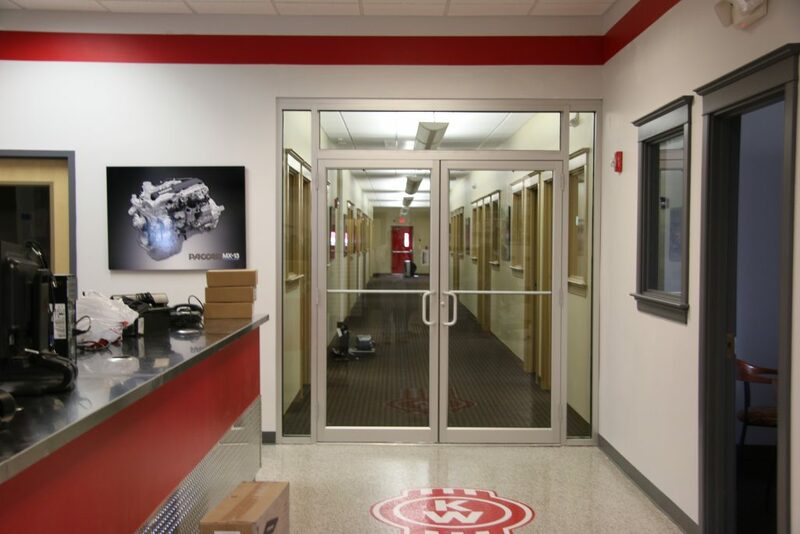 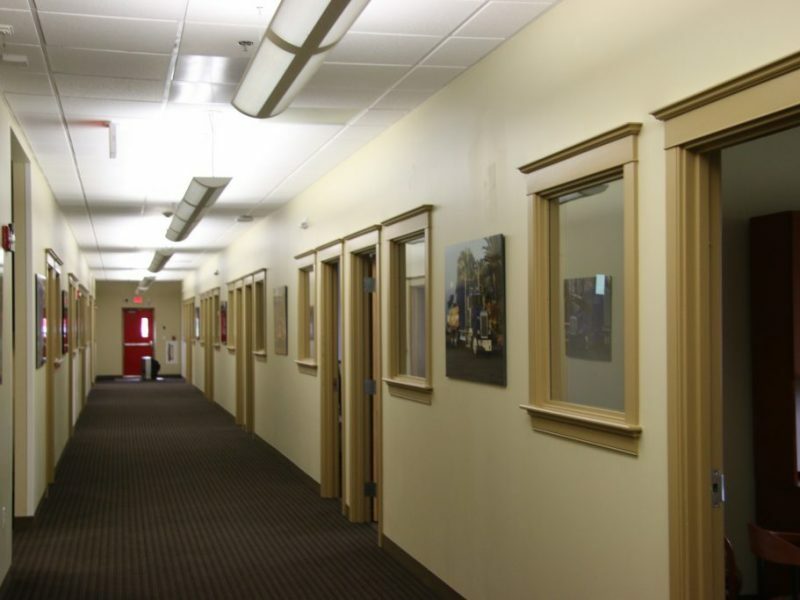 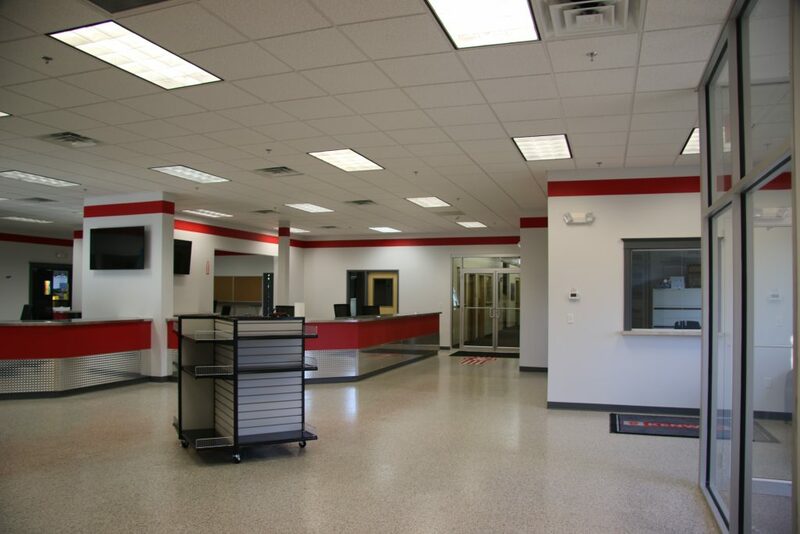 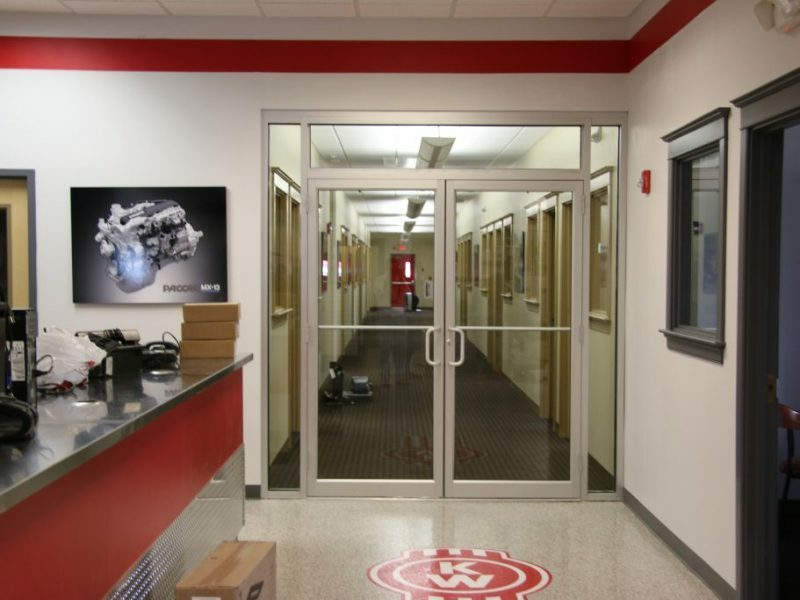 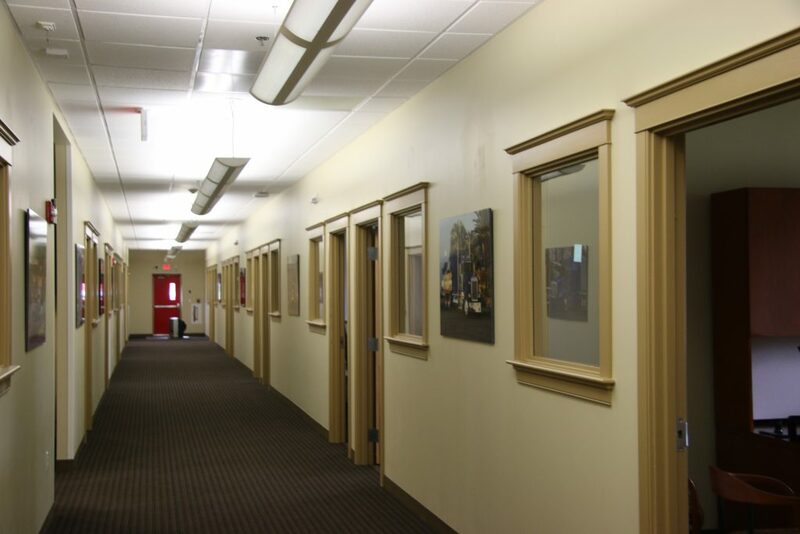 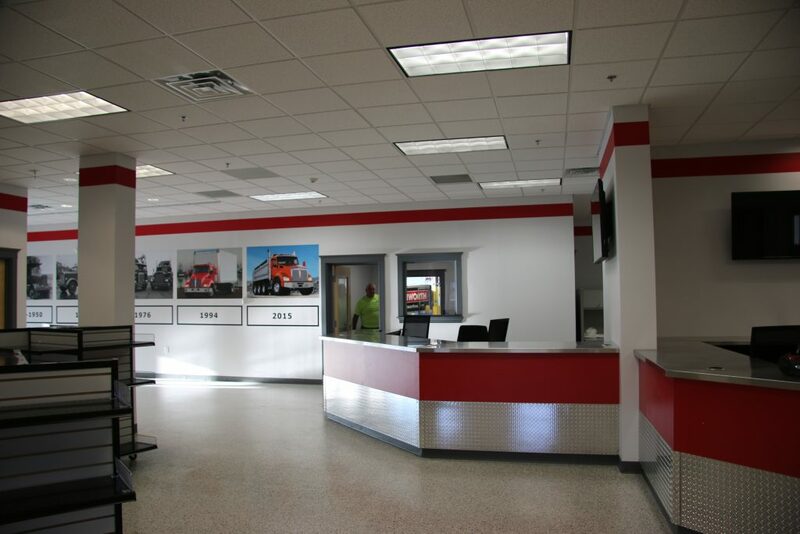 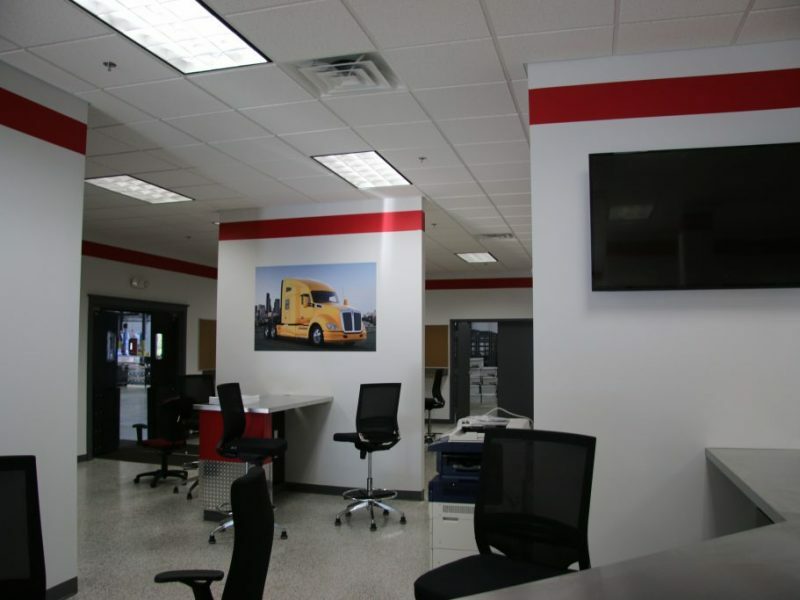 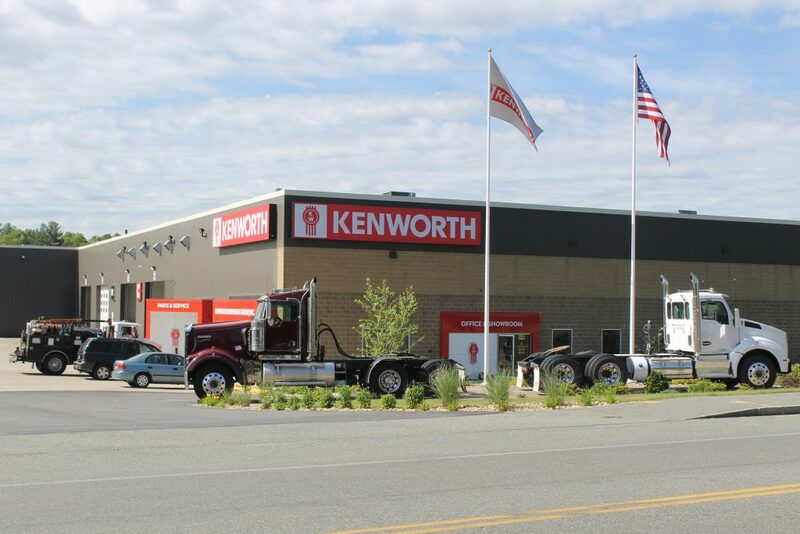 Condyne and Polar Design Build completed a 50,000 square-foot office, showroom and service area renovation for Kenworth Northeast in Brockton, MA. 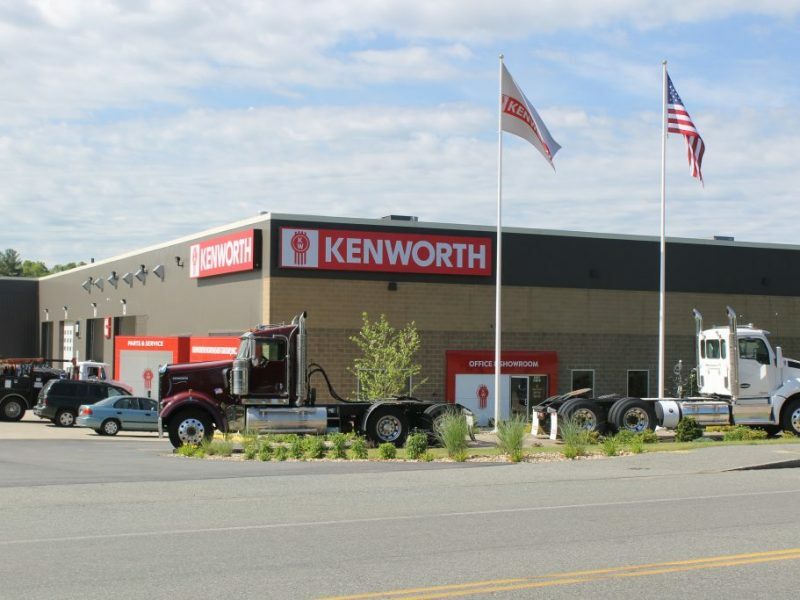 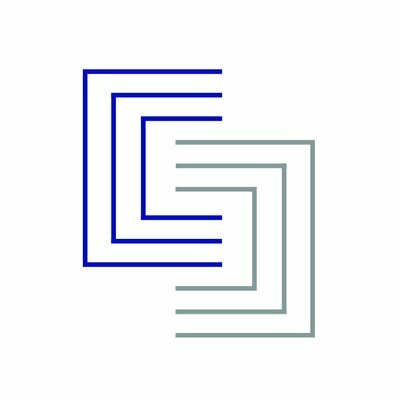 Kenworth Northeast is an independently owned truck dealership that supplies the region with medium to heavy duty trucks and parts for vocational use. 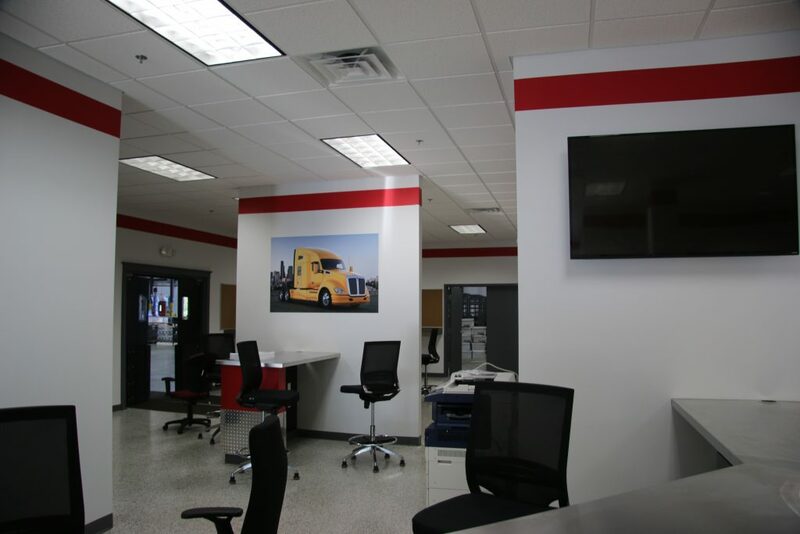 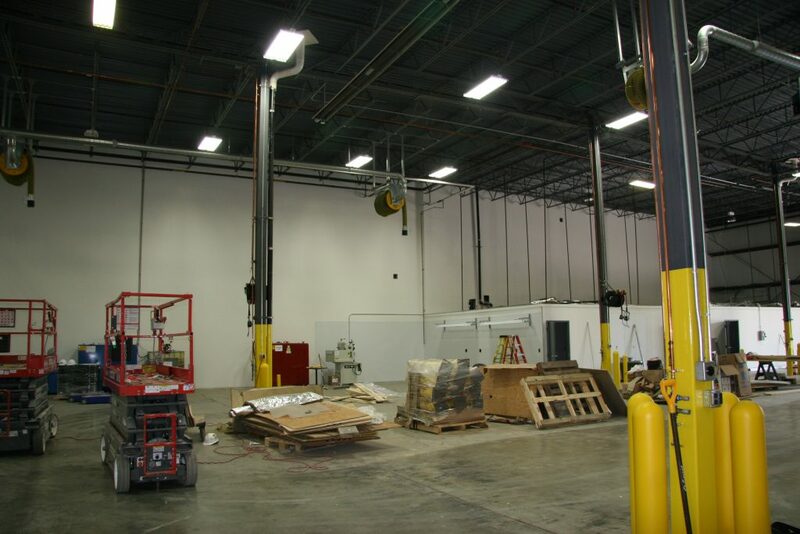 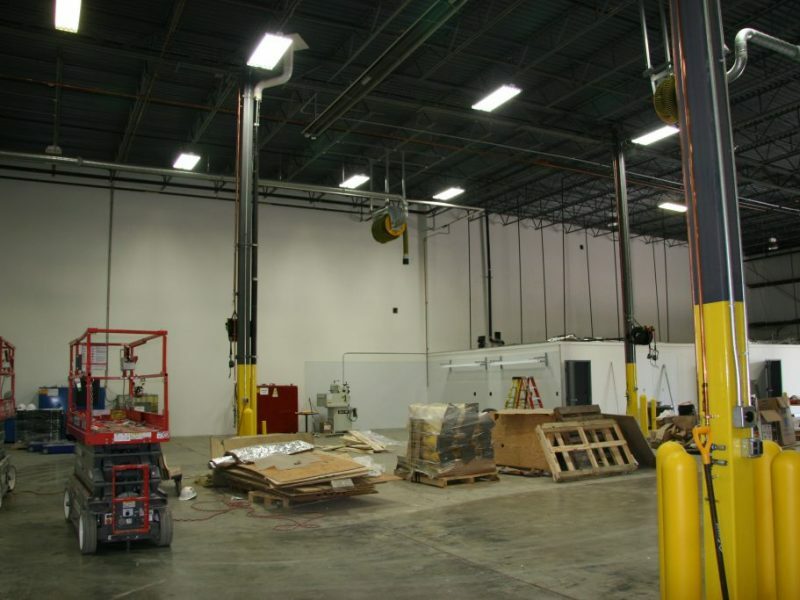 The facility features 20 service bays, a training room, a room dedicated to compressed natural gas, a well-stocked 40,000 square-foot service and parts warehouse, and a welcoming driver’s lounge. 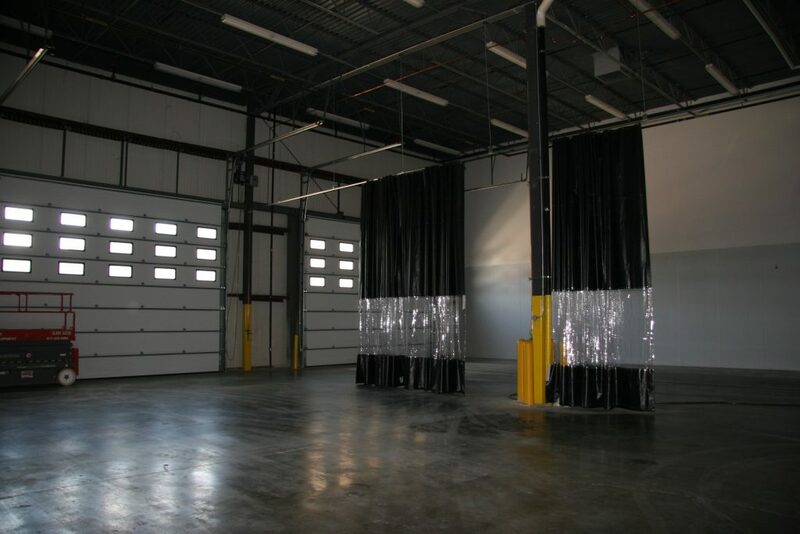 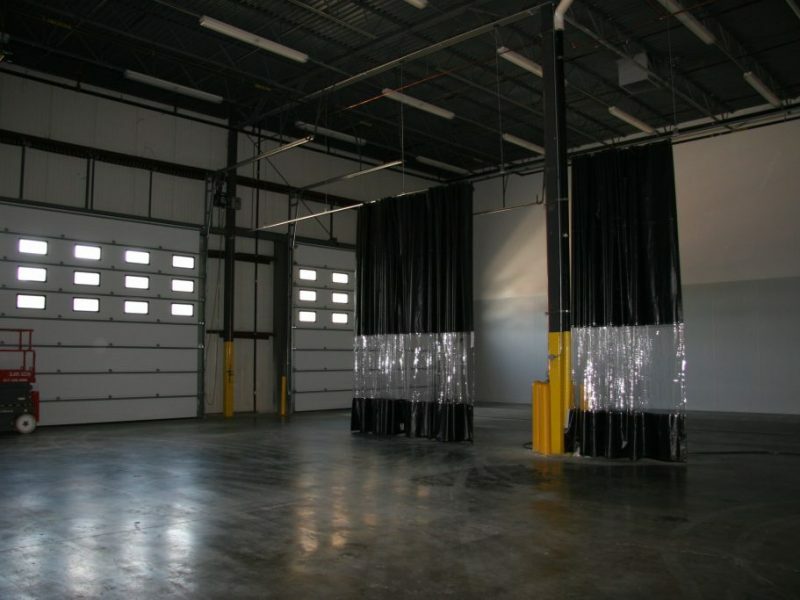 The building also offers an area to provide service for fabrication, component rebuild, and liquefied natural gas powered commercial vehicles. 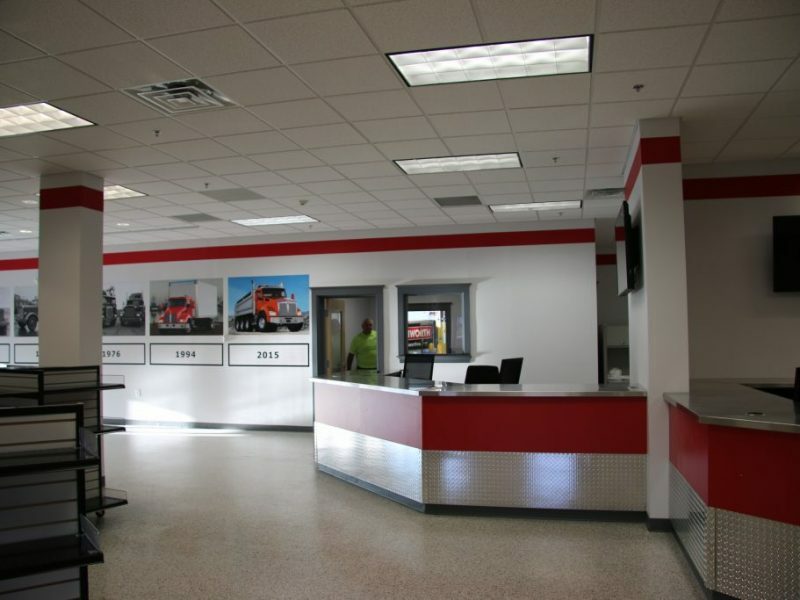 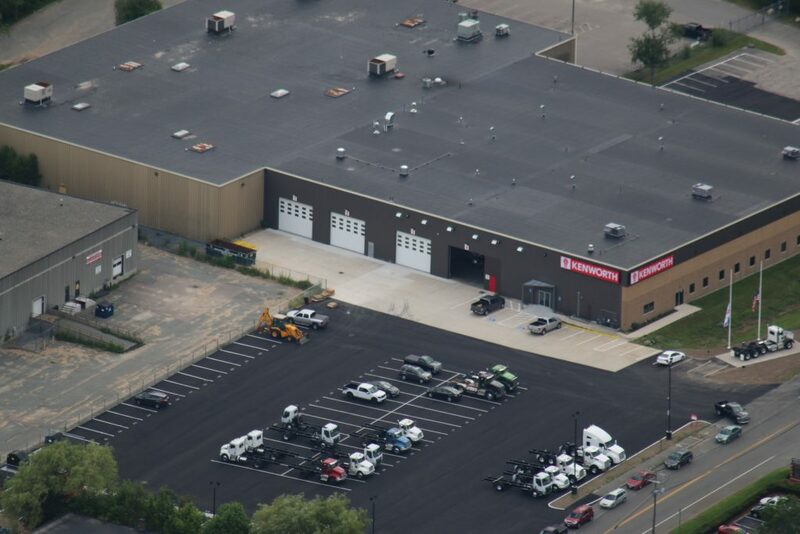 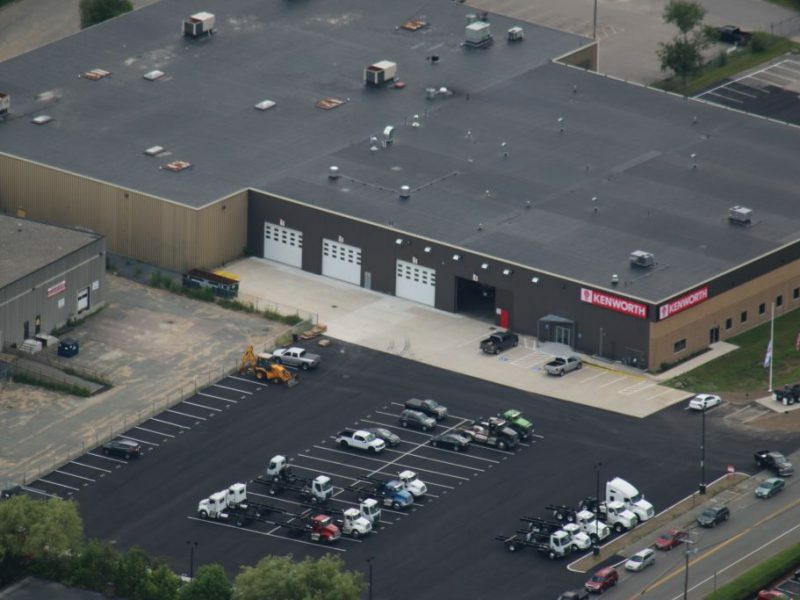 It houses bays used to provide customers with rapid diagnostic reports, quick-lube service for preventative maintenance, wheel alignments, and a drive through truck wash. 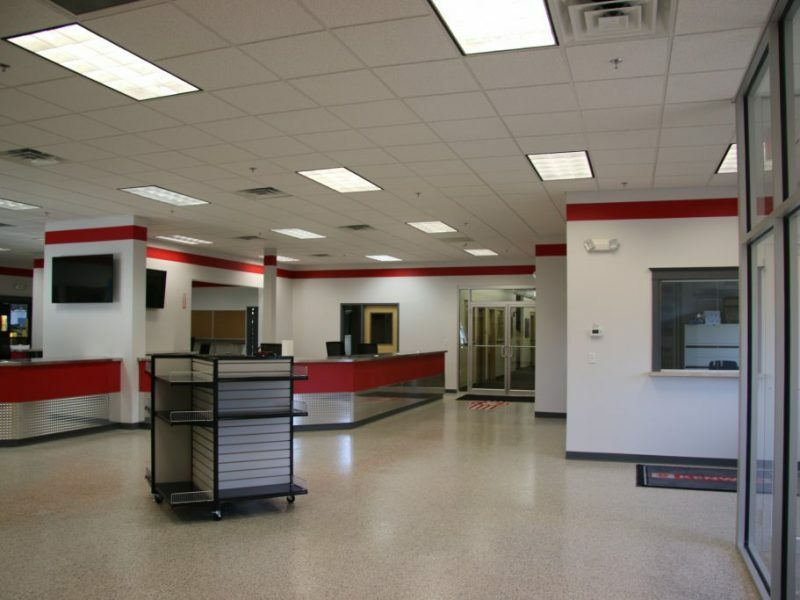 The dealership was built on a 6-acre parcel of land, and is located off Route 24 near several other transportation dealerships.